Van removal service businesses are currently enjoying an incredible boom in business, as the industry is now more popular and competitive than ever before. More and more van removal service businesses are starting up each and every single week, helping a wide range of different individuals, with a number of different tasks. When people think of van removal service companies and businesses, more often than not, the first thoughts that immediately spring into their minds, are those of moving house. Whilst that is indeed the case for many van removal companies, it is by no means the only service that these businesses provide, as they can perform a whole array of different tasks and functions, many of which you probably never even considered before. To help emphasize just how useful and beneficial these services can be, here’s a look at a few examples of exactly who can benefit from hiring a van removal service. Also, visit http://sofamovers.co.uk/man-with-a-van-bristol to find out more. Ok, as we said, this is probably the most common example of services provided of van removal companies, so we’ll begin with this. Moving house is a stressful experience, it is expensive, it is physically demanding, it is mentally draining, and in actual fact, the entire process is not enjoyable, and can make people pretty darn miserable. One of the biggest headaches experienced by people moving house, is transporting their existing furniture and belongings, from their old home, into their new one, or into storage until they’re ready to move in. Some people think they’re saving money by doing it themselves – either making multiple car journeys or hiring a van and trying to do everything themselves. The problem is that they often spend heaps on fuel, they often have to make multiple journeys, they don’t have a team of experts working with them, and they don’t have experience, or the right equipment, to help keep their belongings safe. Van removal companies however, have all of the above, are very affordable, and can make life so much easier for people trying to move house as efficiently and as quickly as possible. Another example of people who can benefit from using a van removal service, is landlords. Landlords will often see tenants coming and going, especially if they have multiple properties, which means that, when one tenant leaves, they will want to get the next tenant moved in as quickly as possible. 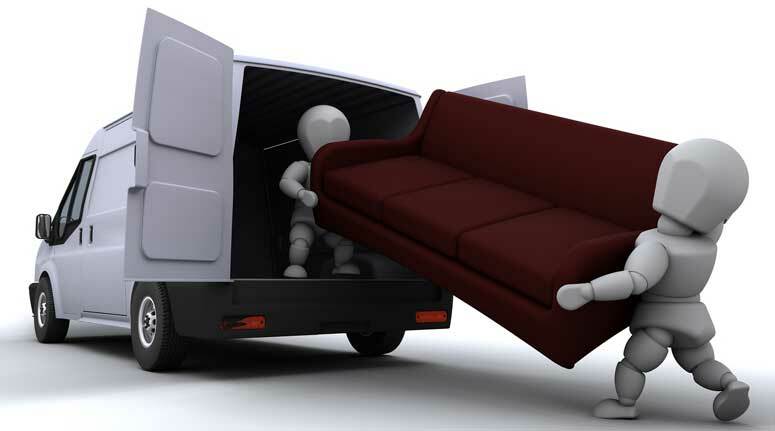 Many landlords provide their own furniture, and when taking on new properties, or replacing damaged furniture, a van removal service could be absolutely ideal. One common issue that many landlords sadly experience, is damaged or destroyed furniture, or even stolen furniture in some cases, and if there are other tenants in the property, or other tenants waiting to move in, getting these pieces of furniture and equipment into the property as quickly as possible is absolutely essential. A quick phone call to a van removal service however, and life suddenly becomes far easier. Ok, perhaps a better example here would be ‘parents of students’ because when students leave home to go and live at university, it is often the parents who get lumbered with the task of moving all of the students’ belongings into their new residence. Many parents will load the car up with various pieces of furniture, and will make several trips, possibly beginning at the beginning of summer, and continuing to make weekly trips right until the latter stages of September, when many students begin their new term. Rather than having to load the car up and make multiple trips however, not to mention spending a fortune on fuel, and experiencing the nightmare that is traffic congestion during freshers week, a van removal company can take care of everything for you. Sometimes, owning a car isn’t enough, and we may find ourselves needing a bigger vehicle, such as a van. Say for example, you find a large and heavy piece of equipment or furniture for sale online, perhaps a wardrobe, a new bed, or even a piece of home-gym equipment. If the item in question was too big to fit in a car, you would either have to attempt to dismantle it beforehand, which could take forever, or, if the item cannot be dismantled, you would have to say goodbye to it as you would have no way of getting it home. A van removal service however, could act as a courier for you, driving to the destination, picking up the item in question, and bringing it back to your home, as easily as that.